Dolphin SMART is a program designed to reduce the disruption of wild dolphins by encouraging responsible viewing of these marine mammals. The program recognizes commercial wild dolphin tour operators who have made a commitment to educate their customers about the importance of minimizing wild dolphin harassment. Florida Keys National Marine Sanctuary encourages you to book with Dolphin SMART operators, to help protect dolphins in the Keys. Upon acceptance into the voluntary program, Dolphin SMART charters receive flags and stickers and permission to use the Dolphin SMART logo in their advertising. By looking for the current year on flags and logos, visiting the Dolphin SMART website, and checking the updated participant list, you can experience the thrill of seeing dolphins in the wild in a responsible, environmentally friendly way. 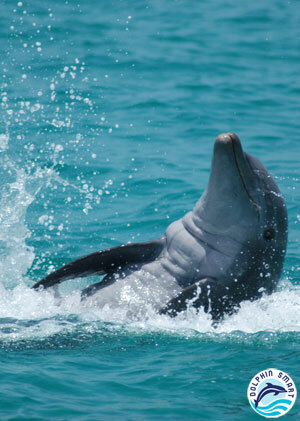 Dolphin SMART is a partnership program developed by NOAA's Office of National Marine Sanctuaries and National Marine Fisheries Service, the Whale and Dolphin Conservation Society, and the Dolphin Ecology Project.